Game time 8:30pm Eastern Time at Denver's Sports Authority Field at Mile High. The game is broadcast nationally on NBC. Announcers for the game are Al Michaels and Cris Collinsworth. Head Official for the game is Bill Vinovich. I don’t expect a win I just hope it doesn’t get ugly. Let’s see a close game. Nice 3 and OUT by the Defense. Wow what is this offense? Lol mike Sullivan helping that much? 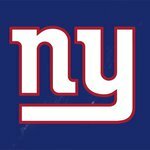 I am amazed and happy that McAdoo gave up the play calling duties.